WASHINGTON — United Technologies Corp. has announced plans to purchase Rockwell Collins for $30 billion, the company announced Sept. 4. If allowed to move forward, the acquisition would turn UTC into a massive aerospace technology conglomerate capable of building almost any major subsystem on an aircraft. Both companies have little overlap in their product lines — Rockwell is best known for manufacturing avionics, flight controls, communications and displays for the commercial and defense markets, while UTC’s aerospace arm makes structures, landing systems and propellers, and its subsidiary Pratt & Whitney is one of two major military jet engine manufacturers. “The integrated companies’ expertise in developing electrical, mechanical and software solutions will allow us to deliver more innovative products and services and provide greater value to our customers and shareowners,” Hayes continued. “This combination will also create new opportunities for the talented employees of both companies to advance innovation in a growing and dynamic industry. United Technologies Corp. is reportedly nearing a more than $20 billion deal to buy Rockwell Collins, a merger of two major defense firms that experts said would make UTC an even more dominant supplier in the aerospace business. 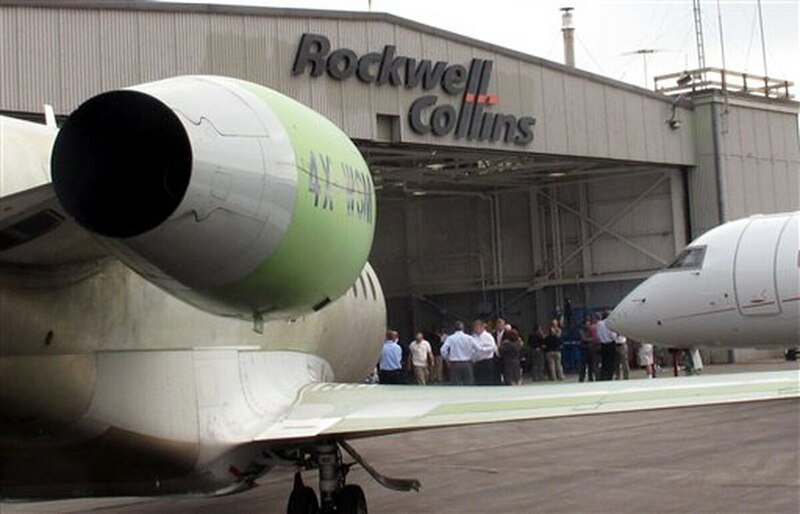 Under the terms of the deal reached Monday, UTC will buy Rockwell Collins for $140 per share. Rockwell is anticipated to bring about $8 billion in sales per year, and UTC will make about $68 billion a year in sales after the acquisition is finalized, it stated in a news release. The deal is expected to close by the third quarter of 2018. Rockwell Collins will then be integrated with UTC Aerospace Systems in a new business unit called Collins Aerospace Systems, with Kelly Ortberg and Dave Gitlin already named CEO and president/chief operating officer, respectively. Last week, financial analysts told Defense News that they could see no reason why the acquisition would be blocked by government authorities due to anti-trust concerns. While UTC was likely motivated to purchase Rockwell Collins in order to expand its aftermarket business in the commercial space, it could have ramifications for the defense industry as well. “The usual trend is that when one big deal like this occurs, others follow because the first-tier competitors see a need to balance their portfolios in the same way that the first company did,” said Loren Thompson, a Lexington Institute analyst with close ties to industry. Dueling SEC filings by Honeywell and United Technologies Corp. on Feb. 26 could point to a possible hostile takeover attempt. Richard Aboulafia, an aerospace analyst with the Teal Group, specifically called out Honeywell as a potential candidate to merge with another firm. In 2001, General Electric had made moves to purchase Honeywell, but the European Union obstructed the acquisition. Then in 2016, Honeywell tried to buy out United Technologies, but was rebuffed by UTC. “I would think this would put pressure on Honeywell to maybe do something,” Aboulafia said.